Because there are quite a few roofing materials available to homeowners, it’s important to understand not only the costs associated with installing a particular one, but also its benefits and drawbacks. Now, lets cover some basic prices for several different types of roofing systems. The least expensive roof replacement options will be listed first. Asphalt shingles is among the least expensive roofs for residential homes. It is also the most frequently installed roofing product in America. Although asphalt shingles costs less than many other types of roofs, they have a low lifespan expectancy, contain petroleum products, and ultimately pollute the environment. The 3-tab shingle is the basic type of an asphalt shingle roof. It costs about $100 per roof square, and can usually be installed on roofs with a minimum pitch of 3 to 12. The average size roof requires about 20 squares of shingles to cover it. Thus, your materials will cost about $2000. You’ll also need to add the cost of roofing nails, and roof underlayment rolls. In addition to these, you may also need to purchase passive roof vents, ridge vent, and metal flashing for the chimney. 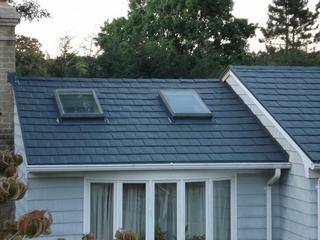 In the northern climates it is also recommended to install ice and water shields on the eaves and valleys of the roof. You can approximate your total material costs to be around $2500 to $2750. It’ll cost you about $200 to $300 per roof square to install it. You may have to pay more if your roof is really complex, with multiple dormers and valleys, which takes longer time to roof over. You may also need to pay the cost of tear off, which may vary from $75.00 to $150. Thus, your new roof may cost anywhere from $9,000 to $15,000. Rather than installing a simple three tab asphalt shingle roof, you may choose to install architectural shingles, which will add about $1000 to your final cost. Cedar shake roofing costs about double the cost of asphalt shingles and can last anywhere from 15 to 30 years depending on the type of cedar shakes. This may be a required alternative, especially for historic homes. Metal is another type of roofing material that is rapidly gaining market share because of its durability, longevity, and energy efficiency. Metal roofs are considered green and can last well over 35 years. The high end metal roofs such as zinc roofing and copper can last well over 100 years. The basic type of metal roofing costs about $250 per square for steel metal shingles roofing, and about $500 per square for a standing-seam metal roof. A metal shingles roof is comprised out of small panels that interlock together and are easy to install. A standing-seam roof is made out of vertical sheet metal panels that connect with other panels in the side by side fashion, thereby creating a raised locking mechanism called the seam. 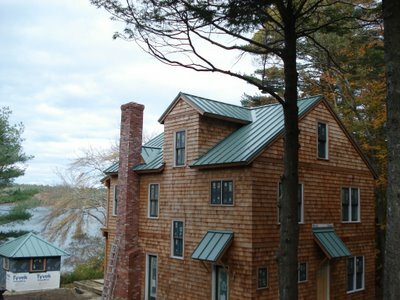 It costs about $500 to professionally install metal shingles and standing-seam roofs. The reason for a higher installation price is that metal roofing usually takes three times longer to install than an asphalt shingles. Modern metal roofs are coated with cool colors that will help keep your house cool and may reduce your energy costs by as much as 35%. Because many metal roofs contain over 30% of post consumer content, they qualify for LEED credit issued by the Green Building Council. The Energy Star qualified metal roofs are also eligible for a $1500 homeowners’ green home improvement tax credit from the government. If your roof is flat, then it will cost you about $500 per square to install an EPDM rubber membrane. The disadvantage of the EPDM rubber roof is that it can develop leaks in between the seams. 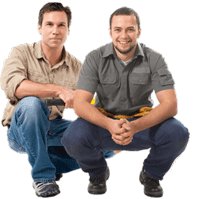 Please be sure that you do not hire a regular contractor to install your flat roof. The reason is that the process of installing a flat roof is significantly different from regular roof installation. It is best to only hire a company that actually specializes in the installation of flat roofing systems. Also, keep in mind that there is a better flat roofing alternative called PVC single ply membrane, which is hot air welded using precision instruments. 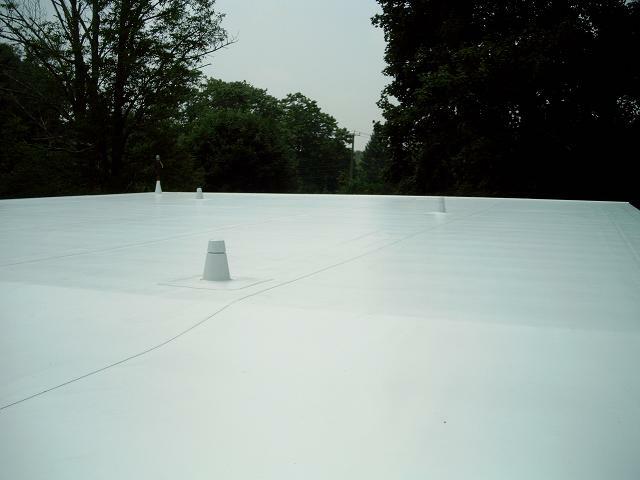 The roof seams formed during the hot air welding process are so durable that they will never leak, even if there is pooling water on your roof. Consider getting a white color PVC membrane, and it will last longer than a conventional EPDM rubber roof. It’ll also provide some very significant energy savings for your home or building. Please consider the overall benefits, longevity, durability and energy efficiency, as well as other pros and cons of a particular roofing system, when analyzing its cost. And above all, remember to hire only qualified contractors, who have experience in installing the type of roof that you need.